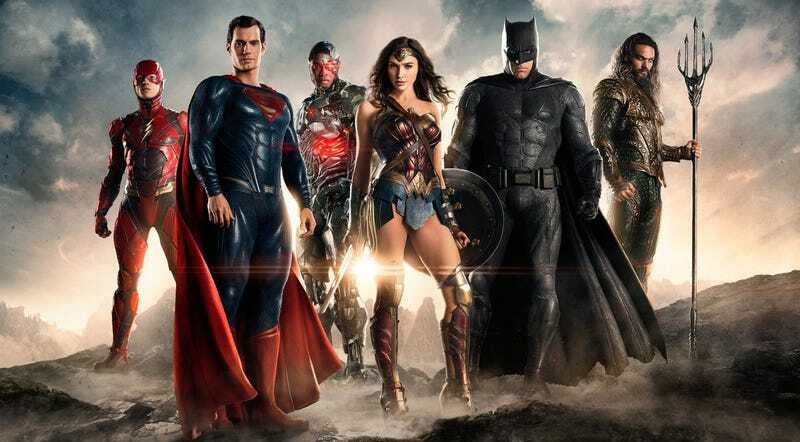 In their first interview since taking over the DC Films, the men put in charge of righting the ship after Batman v Superman and Suicide Squad admitted that the tone of the previous films has been wrong—and as a result, many changes are being made. Those men are Geoff Johns and Jon Berg, the DC Comics chief creative officer and Warner Bros. executive, respectively, who are now in charge of the DC Films slate, which includes Justice League, Wonder Woman, Flash, Aquaman and many others. That film will also “directly address Batman’s extreme actions in [Batman v Superman], such as torturing criminals and nearly killing the Man of Steel, rather than accept them as par for the course.” That’s similar to what happened in Batman v Superman, which addressed Superman’s inadvertent destruction of the city of Metropolis during Man of Steel for its first act. In addition to overseeing all the films, Johns is working more directly on a few of them. We already knew he was writing the Batman solo film for Ben Affleck to star and direct, but he also did a rewrite on Patty Jenkins’ Wonder Woman film, which will be the next one out. “We’re trying to take a really hard look at everything to make sure we stay true to the characters and tell stories that celebrate them,” Johns said. Wonder Woman is out June 2, 2017. Justice League (which will now not be a two-part story) is out November 17, 2017.